Future” is outstanding. The slides are a paean to digital media, mobile, and more specifically Android, which appears to have won the platform wars – at least for the time being. BI charts the global internet population at just less than three billion, a figure which includes, however, almost all the more affluent consumers. New media – Apple, Google, Amazon, Facebook, Yahoo – dominate the old media – 21st Century Fox, CBS, Viacom, Time Warner, Comcast, and Disney. Multiple devices and screens are key to the new media landscape from a hardware standpoint. As “connected devices,” smartphones and tablets now dominate PC’s. 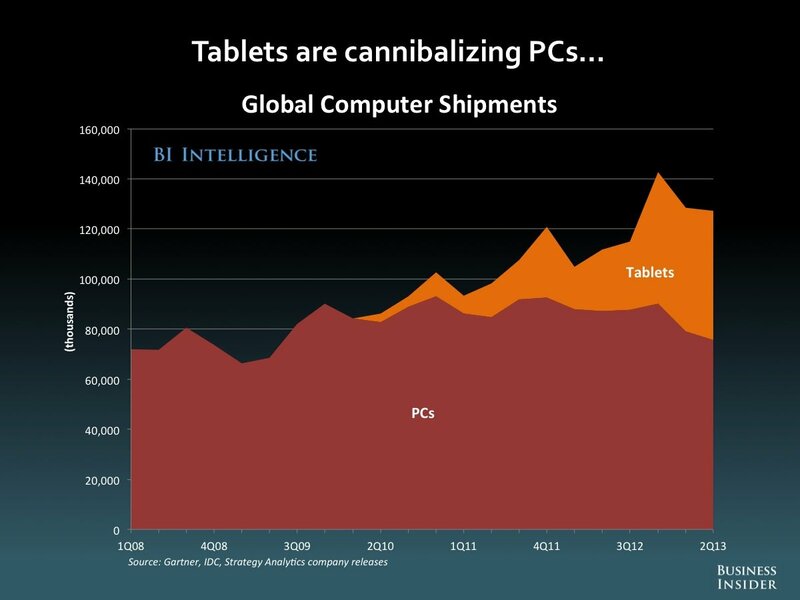 Sales of smartphones are still booming, and tablets are cannibalizing PCF’s. Demand for “phablets” is skyrocketing, especially in Asia. PC manufacturers are taking a hit. BI estimates one fifth of internet traffic is now via mobile devices. The Chinese smartphone users are now twice the size of US market. But it is with respect to the “platform wars” that the BI presentation takes the strongest stand. 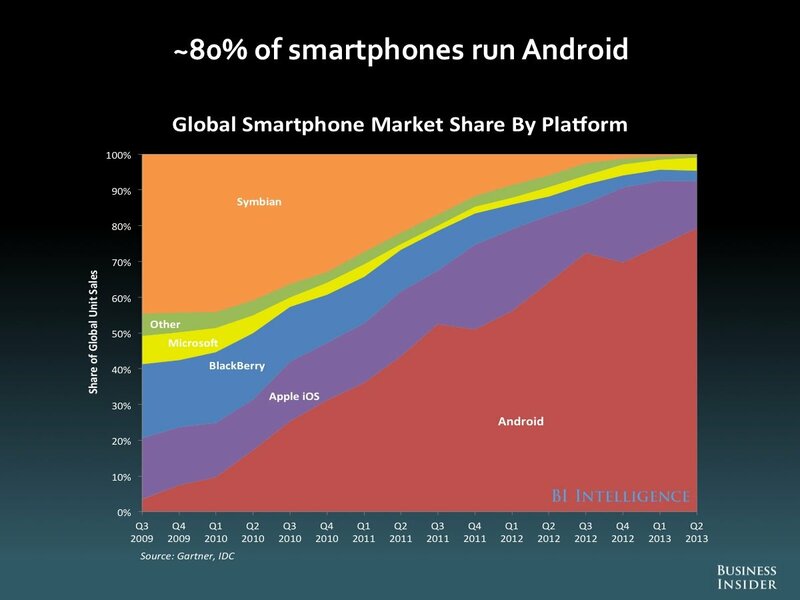 Their estimates suggest 80 percent of smartphones run Android, and 60 percent of tables. They say Android has caught up in the app development department. 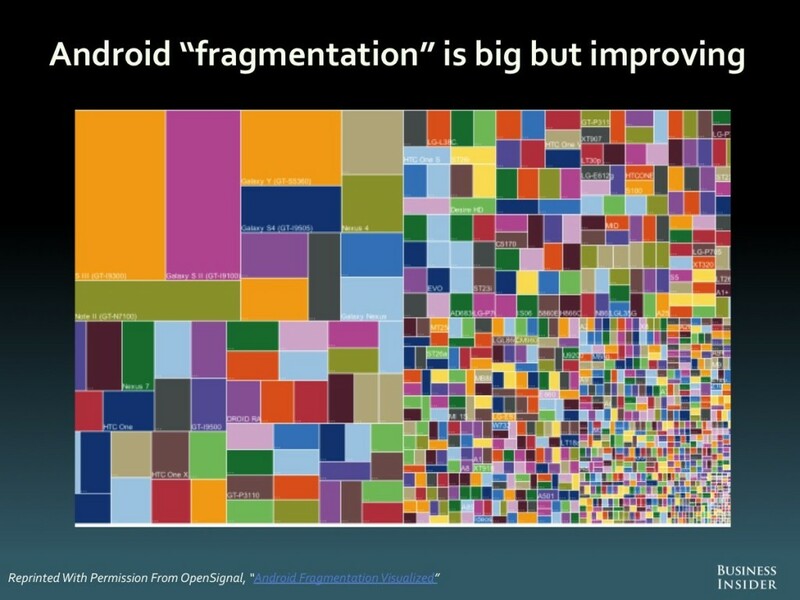 The exhibit showing the “fragmentation” of Android caught my eye. 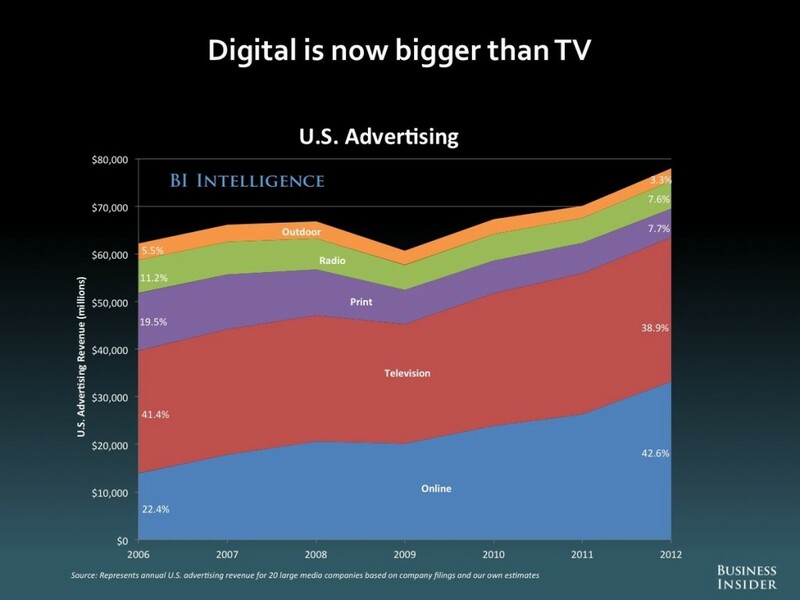 US digital advertising is now bigger than TV, and, according to BI, shows a 20 percent CAGR 2002-2012. 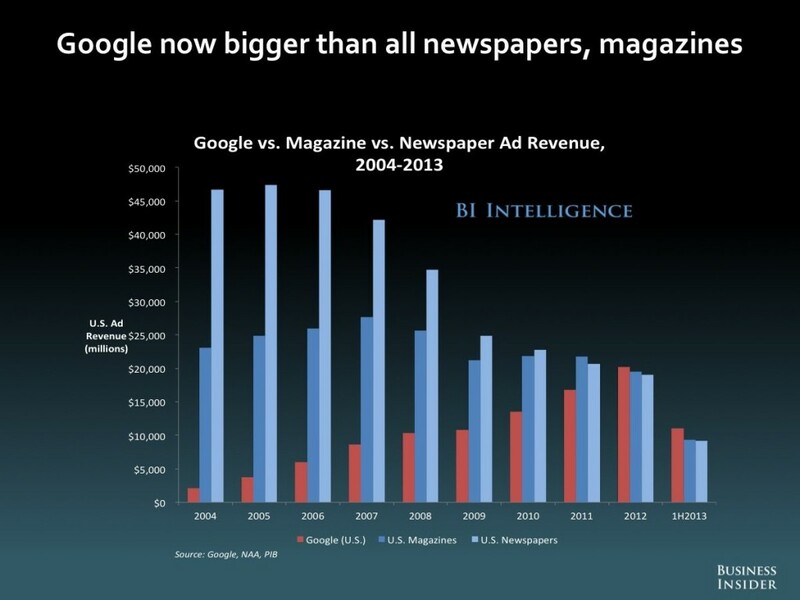 Newspaper ads have plummeted, as Google takes the lion’s share of digital advertising. You can convert the 134 slides in the BI presentation to a PDF file, if you register for a trial membership to BI services. I’ll have more to say about these topics soon.